I guess you could say that it all started a long time ago. 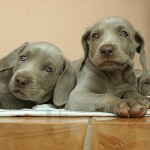 I grew up around dogs but we were always a family that went to breeders to get our new companions. I had always been intrigued by mixed breed dogs, mutts, but we just never had one. 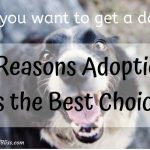 Now, there’s nothing wrong with going to a reputable breeder who has the exact dog you want, it’s just that there are so many dogs waiting for an opportunity to be adopted. Adopting a shelter pet as my first dog was something I’ll remember for the rest of my life and something that has made me a lifelong adopter of pets. I was living by myself at the time and I finally moved into a place where I could have a dog. Well naturally the moment I could have one I decided to go to the Humane Society and look around. Needless to say, I found Lucia (loo-sha) and she’s been with me ever since. It has a profound impact on yourself when you decide to adopt a pet and one that I recommend wholeheartedly. Here are some of the reasons that your next pet should be a shelter pet. 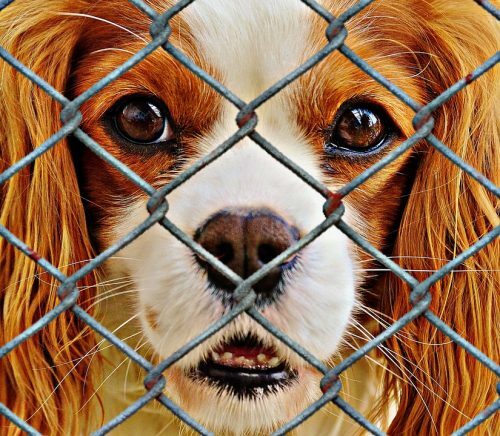 The sad truth is that there are more dogs than there’s demand for adopting a shelter pet and many will end up euthanized. I understand this being a necessary evil, there’s not a lot of resources, space is stretched to the limit, so on and so forth but every time I think about Lucia not being with us it really gets to me. She’s a terrific dog but one that was almost at her time limit in the shelter, she had been there almost 6 months before I adopted her. Before I got Lu I knew that there was a couple of criteria that I wanted in my dog. I lived in a warehouse loft apartment on the 3rd floor so I didn’t want to have to run up and down stairs trying to house train a puppy, I wanted to move back to the mountains so wanted one that could handle hiking and the cold, and I wanted a girl. Enter Lucia. She was about 2.5 years old when I got her, she was house broken and she was about 40 pounds with a long thick coat, the perfect mountain dog. She’s filled out to about 50 pounds with good nutrition and her fur has gotten thicker with the good diet too but she still fits the bill I was after and she my closest companion. She was scared of the water for the first couple years, wouldn’t go deeper than her chest and then finally one afternoon after a hike we decided to take a pit stop at a lake for lunch. She’s crazy for sticks, not so much the bringing them back but the chasing them down part and there was some on the beach. Little by little, further and further we worked out in the water. She was looking at me wondering if it was safe but eventually she started to paddle. Fits and starts at the beginning turned into open water, fully submerged play time chasing sticks, rocks, birds and fish. She had become a water loving crazy woman. It’s little moments like these, showing the timid shelter dog that they can trust you that make the experience unlike any other. Watching Lu check out my loft the first time she walked in was awesome! I was like her shadow, following her around, trying to interpret her reaction to things, seeing if she approved, wondering if she liked it. Being 2 and half when I got her was like getting to know a person. She wasn’t a puppy, she knew who she was, had her own personality and was trying to figure me out too. Six years later we’re still having fun and I know her little idiosyncrasies and habits (and she knows mine). It might be egotistical but you just kind of feel good about yourself when you adopt a pet. She’s my road trip buddy, campsite guard, river guide, kicking in her sleep, scared of the vacuum, furry best friend. So many things that I never thought she would be, she is and everything about her I’m in awe of. Adopt a dog, I promise you won’t regret it. 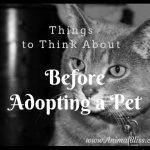 What would be your considerations in adopting a shelter pet?